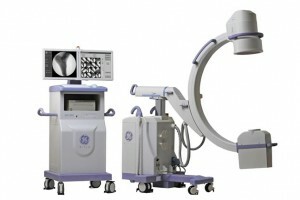 At Seaside Surgery Center, we have invested in the top of the line medical equipment. Imaging technology, innovative operating tables and cooperative interaction with leading manufacturers of specialized medical equipment sets this surgery center apart from the multitude of less specialized centers from which patients have to choose. In the hands of our talented surgical and anesthesia staff, specialized pieces are skillfully maneuvered to exact their optimum effect. 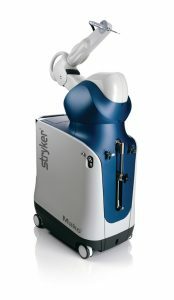 Seaside Surgery Center became the first ambulatory surgery center (ASC) in South Florida to offer Mako Partial Knee Replacement when it accepted delivery of Stryker’s highly advanced, surgeon-controlled Mako Robotic-Arm Assisted Surgery System recently. The Mako System assists surgeons by creating a 3-D model of the patient’s anatomy, enabling them to develop a pre-surgical plan that customizes implant size, positioning and alignment specifically for each patient. Real-time, live motion data is collected during the intra-operative planning phase and this is used to make the fine corrections in the balance and tracking position of the implants. Partial knee replacement can be a challenging procedure to perform accurately on a consistent basis using manual techniques. Enter Mako technology. The Mako Robotic-Arm Assisted Surgery System enables consistent results and more accurate implant placement – which is an important factor in the life expectancy of implants. 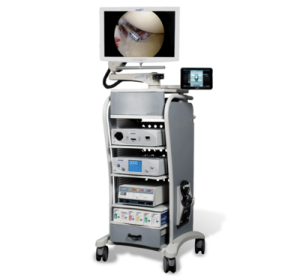 Seaside Surgery Center and the Arthrex® Corporation have joined forces to bring to our patients the most advanced imaging system for arthroscopic evaluation and treatment of joint conditions currently on the market. The Synergy UHD4™ system has revolutionized the available technology with the introduction of a system with four times the resolution of 1080p HD providing increased resolution and depth perception, wider color range and more precise and accurate imaging. Wireless connections allow the surgeon to collect intraoperative images to a tablet or other storage devices for medical record processing. View the Synergy UHD4™ in action, below. Hip replacement surgery through a “Direct Anterior Approach” requires specialized operating equipment. One highlight of the equipment array used in our outpatient total hip surgery is the Hana® table. 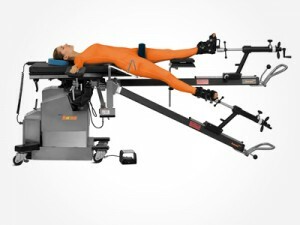 Its unique patient positioning capabilities enable the surgeon to put the operative leg and hip into the most advantageous alignment to perform minimally invasive, small incision surgery without the detachment of muscle required in more traditional surgery. Its unique carbon fiber spars allow the unimpeded use of fluoroscopic X-ray evaluation of the implanted hip prosthesis, assuring equal leg length, proper alignment and rotation of components. Often during surgery, the need for clear X-ray imaging is required to evaluate position of implants, align a fracture or observe the motion of a joint. The most efficient technology to provide this type of evaluation is done with a fluoroscope, sometimes called a “C-Arm,” which uses an X-ray beam, passed through the body to create real time views. The images are created by the fluoroscope and are viewed on a small viewing screen attached to the unit. With this equipment, we can get a real-time imaging of your joint or fracture resulting in a more precise placement of implants. At Seaside Surgery Center, our GE model OEC 9900 is the most current, state of the art fluoroscope available.